Hello everyone! I haven't been able to blog as much as I would have liked as I have been set a lot of work this semester at University :(. Hope you're all having a great October and are excited for Halloween! Anyhow I'm just going to post some pictures of an outfit I wore on Friday! Let me know what you guys think! Also, please comment if you have any comments, recommendations or tips for my blog! FINALLY a personal blog shares something useful xD!! besides i've always liked your outfits and this one is one of them! great outfit, you are very pretty! Awwr, Thank you so much! I've just checked out your blog! You have some amazing outfits! LOVE your whole look! 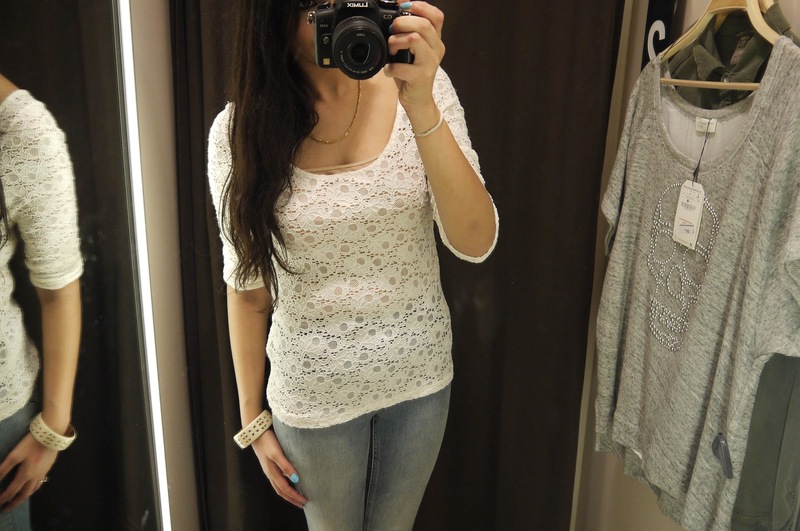 That lace top is pretty good & those blue jeans fit you like a dream! Awwr Thank you!! haha the jeans are so unbelievable tight!